Tickets are available for £10.00-£15.00 through Ticketweb. Terry Eagleton is the 2010 Richard Price Memorial Lecturer. He will speak on The New Atheism and the War on Terror. His latest book is The Task of the Critic: Terry Eagleton in Dialogue, with Matthew Beaumont, co-editor of Restless Cities. Eagleton occupies a unique position in the English-speaking world today. He is not only a productive literary theorist, but also a novelist and playwright. He remains a committed socialist deeply hostile to the zeitgeist. Over the last forty years his public interventions have enlivened an otherwise bland and conformist culture. His pen, as many colleagues in the academy—including Harold Bloom, Gayatri Spivak and Homi Bhabha—have learnt, is merciless and unsparing. As a critic Eagleton has not shied away from confronting the high priests of native conformity as highlighted by his coruscating polemic against Martin Amis on the issue of civil liberties and religion. Modern societies deny men and women the experience of solidarity, which football provides to the point of collective delirium. Most car mechanics and shop assistants feel shut out by high culture; but once a week they bear witness to displays of sublime artistry by men for whom the word genius is sometimes no mere hype. Like a jazz band or drama company, football blends dazzling individual talent with selfless teamwork, thus solving a problem over which sociologists have long agonised. Co-operation and competition are cunningly balanced. Blind loyalty and internecine rivalry gratify some of our most powerful evolutionary instincts. Terry Eagleton is Distinguished Professor of English Literature at the University of Lancaster. His other publications include Walter Benjamin, Literary Theory: An Introduction, The Function of Criticism, Criticism and Ideology, The Illusions of Postmodernism, Figures of Dissent and Ideology: An Introduction. He is also a dramatist, and his plays have been collected in Saint Oscar and Other Plays; in addition, he has written the filmscript for Wittgenstein and the novel Saints and Scholars. His most recent book is The Task of the Critic: Terry Eagleton in Dialogue, with Matthew Beaumont. Eagleton is a “player” in every sense, and The Task of the Critic shows him as an eagle-eyed trickster. Prolific and profound, the last of a generation, this egalitarian terrier is still chewing at the leash. After a lifetime of commitment he remains a live wire, the most readable literary critic we have: one whose task is never done, his playfulness and stylistic verve masking consider­able theoretical sophistication. Why is theology emerging again as a point of reference for radical politics? It is emerging not in order to supply a divine “big other”, guaranteeing the final success of our endeavours, but, on the contrary, as a token of our radical freedom, with no big other to rely on. Fyodor Dostoevsky was aware of how God gives us freedom and responsibility – he is not a benevolent master steering us to safety, but one who reminds us that we are wholly unto ourselves. Fifteen years ago, two ten-year-old boys tortured and killed a toddler, James Bulger, in the north of England. There was an outcry of public horror, though why the public found this particular murder especially shocking is not entirely clear. Children, after all, are only semi-socialised creatures who can be expected to behave pretty savagely from time to time. If Freud is to be credited, they have a weaker superego or moral sense than their elders. In this sense, it is surprising that such grisly events do not occur more often. 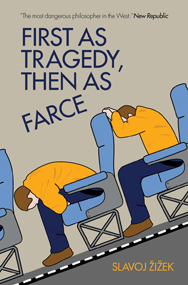 Slavoj Zizek’s latest book is First as Tragedy, Then as Farce. 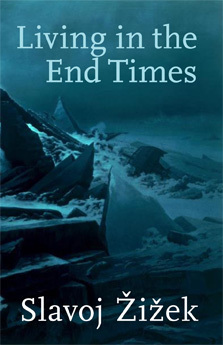 His new book, due out in June 2010, is Living in the End Times. 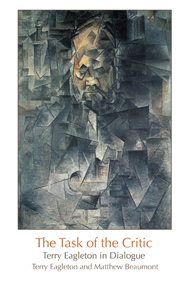 Terry Eagleton’s latest book is Task of the Critic: Terry Eagleton in Dialogue. 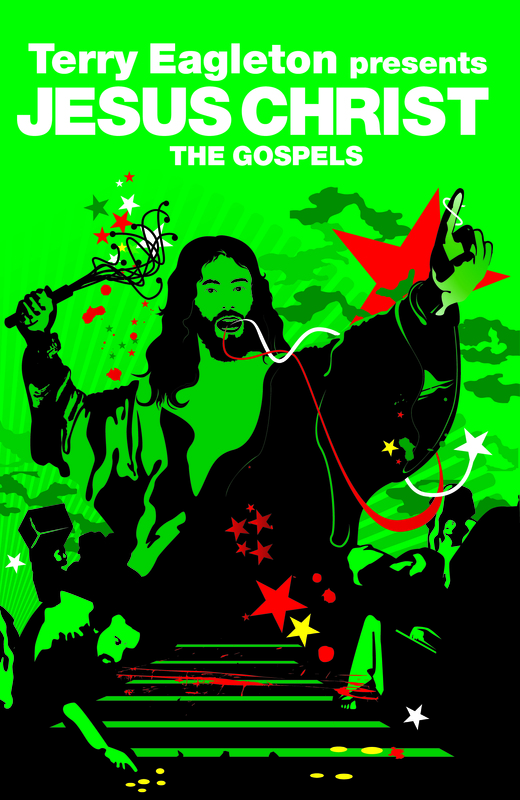 He is also the introducer to the Revolutions edition of the Gospels. The Fragile Absolute: Or, Why is the Christian Legacy Worth Fighting For by Slavoj Zizek. Atheism in Christianity by Ernst Bloch. The Threat to Reason: How the Enlightenment was Hijacked and How We Can Reclaim It by Dan Hind. The Invention of the Jewish People by Shlomo Sand. Suffering as Identity: The Jewish Paradigm by Esther Benbassa. Messages to the World: The Statements of Osama Bin Laden edited by Bruce Lawrence. Islams and Modernities by Aziz al-Azmeh. The Clash of Fundamentalisms: Crusades, Jihads and Modernity by Tariq Ali. Fanaticism: On the Uses of An Idea by Alberto Toscano. Wu Ming Presents: Sermon to the Princes by Thomas Muntzer. Two years ago, you had a very public disagreement with Hitchens’s close friend Martin Amis. For a long time, they were quite divergent politically: Hitchens was still some kind of socialist and Amis was vehemently anti-communist in an uninteresting, cold war kind of way. But they’ve since converged. And now they’re old cronies backing each other up – instant responses to attacks on the other. I’m interested in the way a whole stratum of the liberal literati (Rushdie, to some extent Ian McEwan, A C Grayling, obviously Amis and Hitchens) – the very people you’d have expected to be guardians of the liberal flame of tolerance and understanding – have, at the very first assault, rushed into these caricatured postures driven by panic. I’m very struck by how those who are making ugly, illiberal, supremacist noises about the superiority of the west are precisely the sort of literary and liberal characters from whom you’d expect more imagination, openness and sensitivity. Your book Literary Theory (1983) has sold almost a million copies. Do you enjoy writing for lay audiences? I enjoy popularisation and I think I’m reasonably good at it. I also think it’s a duty. It’s just so pedagogically stupid to forget how difficult one found these ideas oneself to begin with. And I think it’s dismaying how small a patch there is for public intellectuals – particularly public intellectuals of the left. I value journalistic platforms as a way of extending beyond academia. You’ve got to have a sense of different audiences. I’m a kind of performer manqué – I come from a long line of failed actors! The Task of the Critic: Terry Eagleton in Dialogue , a book of interviews with Matthew Beaumont. The beauty of Žižek’s theological atheism is that it accepts the limits of knowledge (even scientific) regarding material reality, but also views in the legacy of Judeo-Christianity room for an atheism that isn’t just based on simple caricatures. There is substance to the notion of Holy Spirit that is born out of a gap in knowledge and the human referent of divine impotence that binds a community together, precisely the project of Saint Paul. For Žižek this version of atheism is the very supplement necessary to save modern Christianity from doom. Slavoj Žižek is a Slovenian philosopher and cultural critic. He is a professor at the European Graduate School, International Director of the Birkbeck Institute for the Humanities, Birkbeck College, University of London, and a senior researcher at the Institute of Sociology, University of Ljubljana, Slovenia. In addition to the books quoted in the article, The Tickish Subject, and The Sublime Subject of Ideology, his recent works include First as Tragedy, Than as Farce and In Defense of Lost Causes. His new book, Living in the End Times, will be published by Verso in May 2010. 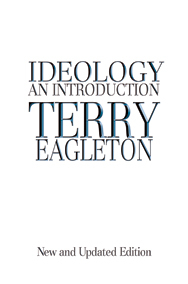 Terry Eagleton is Professor of Cultural Theory and John Rylands Fellow at the University of Manchester. His books include The Task of the Critic: Terry Eagleton in Dialogue, Walter Benjamin, Literary Theory: An Introduction, The Function of Criticism, Criticism and Ideology, The Illusions of Postmodernism, Figures of Dissent and Ideology: An Introduction. Alain Badiou teaches philosophy at the École Normale Supérieure and the Collège International de Philosophie in Paris. He has published numerous novels, plays and philosophical works. His four most recent books, The Meaning of Sarkozy, Ethics, Metapolitics and Polemics are available from Verso. His new book, The Communist Hypothesis, will be published by Verso in June. A useful resource on the furore over Terry Eagleton’s comments on Martin Amis’s political views in 2007. In an essay entitled The Age of Horrorism published in September 2006, the novelist Martin Amis advocated a deliberate programme of harassing the Muslim community in Britain. “The Muslim community,” he wrote, “will have to suffer until it gets its house in order. What sort of suffering? Not letting them travel. Deportation – further down the road. Curtailing of freedoms. Strip-searching people who look like they’re from the Middle East or from Pakistan … Discriminatory stuff, until it hurts the whole community and they start getting tough with their children…” Amis was not recommending these tactics for criminals or suspects only. He was proposing them as punitive measures against all Muslims, guilty or innocent. The idea was that by hounding and humiliating them as a whole, they would return home and teach their children to be obedient to the White Man’s law. There seems something mildly defective about this logic. In fact, I wrote so in a new introduction to my book Ideology: An Introduction, little suspecting that a volume that investigates Lukacs and Adorno would be seized upon by the Daily Express.